The creative work of making, often driven by imagination and problem-solving, can feel like a tricky thing to assess. Yet, if we look to the expertise of Grant Wiggins (2012), we are reminded that assessing creativity is not only a necessity but a helpful experience for students. It is through assessing creative thought and the impact it has on an audience or final project, that students develop the autonomy needed to self-assess and improve their own work. Therefore, when thinking about the creative work of my young (Pre-K to 2nd grade) students, I spent some time reflecting on the best ways to assess them. I reviewed the creative rubric (Wiggins, 2012) and a maker rubric (Yokana, 2015) and many of the ideas shared in Meaningful Making: Projects and Inspirations for FabLabs and Makerspaces (Blikstein, et al., 2015). I firmly agree that the right assessment for my students’ work was not a test (Flores, 2015a, p. 36) and that various forms of formative assessment could better support the examination of students’ skills and mindsets, such as collaboration, resilience, and reflection. As a Reggio-inspired educator, I often feel that “documentation is the missing ingredient in traditional thinking about assessment and self-learning” (Tesconi, 2015, p. 40) so I knew that documentation would be a critical component in assessing students’ maker projects. At key points (e.g., transitioning from brainstorming to planning and planning to building) during the creation process, students will be invited to share feedback with their peers. This feedback will be based on a rubric that defines (in developmentally appropriate language depending on the grade) resiliency, documentation, creation, collaboration, empathy, reflection, and being a problem-finder in a way simple enough for students to understand. They will record narrative comments in Seesaw and possibly even take a photo of their assessment for each criteria (recorded as a sad face = not meeting expectations, simple smiley face = meeting expectations, and excited smiley face = exceeding expectations; see below) . This will allow students to provide incremental feedback at key turning points in a project and also easily see how a project has developed by being able to review everything in a single student’s’ portfolio. Mid-way through the building/making part of a project, students will also use the “love notes” (Flores, 2015b, p. 45) approach to leave additional feedback and encouragement for their peers. This feedback will be done with markers and sticky notes and documented through photos so it can be added to Seesaw. At this point, students will pause and take time to review their work, the feedback they have received along the way, and the love notes they have added to their portfolio. They will be asked to add a comment in Seesaw to the photo of their love notes, summarizing the feedback they received and reflecting on how it can help them to improve their project. As the teacher, I would assess students on the same mindsets and criteria students use: resiliency, documentation, creation, collaboration, empathy, reflection, and being a problem-finder. I would provide written feedback to them about how well they met each one of those criteria. I will also provide informal feedback and scaffolding to students via Seesaw comments throughout their project to prompt them to think more about a problem or consider a new question or way of working. Students will complete a final reflection on what they learned through the making process and how they might use that learning in their next project. They will be asked to consider how documenting and getting feedback on their work throughout the process affected their final product. This reflection will be done as a note (written or narrated) in Seesaw, so all of the documentation for the project remains together and can be easily shared with peers or external audiences. Students will then share their project and key points from their final self-assessment with the class (and at times, a larger audience). 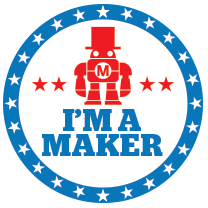 This is a new process and I am curious how other teachers assess the making and learning that happens through these types of maker projects. Are you using rubrics, written feedback, self-assessments or some combination of them all? Flores, C. (2015a). Alternative assessments and feedback in a makered classroom.In Blikstein, P., Martinez, S. L.., & Pang, H. A. (Eds. ), Meaningful making: Projects and inspirations for fablabs and makerspaces (pp. 30-37). Torrance, CA: Constructing Modern Knowledge Press. Flores, C. (2015b). The role of peer assessment in a maker classroom.In Blikstein, P., Martinez, S. L.., & Pang, H. A. (Eds. ), Meaningful making: Projects and inspirations for fablabs and makerspaces (pp. 42-47). Torrance, CA: Constructing Modern Knowledge Press. Tesconi, S. (2015). Documenting a project using a “failures box”. In Blikstein, P., Martinez, S. L.., & Pang, H. A. (Eds. ), Meaningful making: Projects and inspirations for fablabs and makerspaces (pp. 40-41). Torrance, CA: Constructing Modern Knowledge Press. I have the privilege of serving as a Specialist in Technology, Education, and Society Altering Environments, an undergraduate education course at Bryn Mawr College (my alma mater!) this semester. 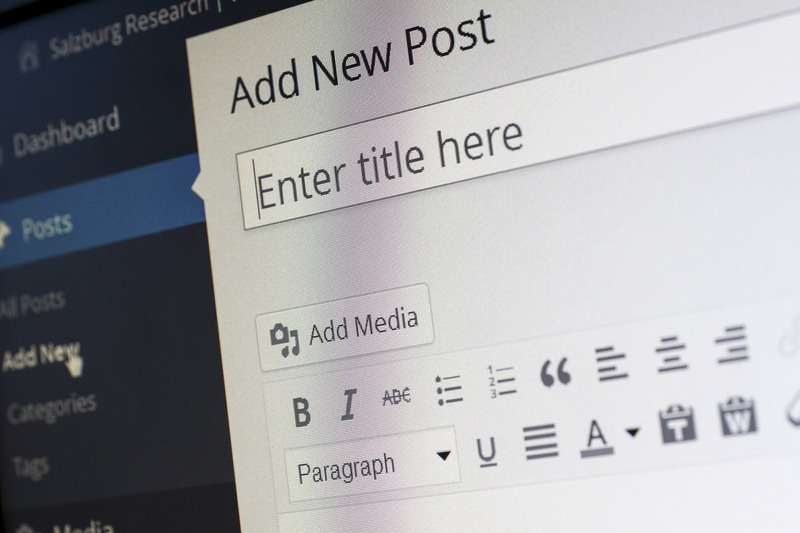 I will be providing support to the class around blogging and the WordPress platform so I thought what better way to dive in than to post something on my own WordPress blog? Preparing to work with the class led me to reflect on some of my own motivations to blog and why I think blogging is important not only for educators but for students too. I published my first post almost four years ago, just as I was starting out as an Education and Technology Consultant. As an educator, I was excited to launch a digital space that would be open 24/7 where I could capture ideas and share reflections. I also knew that I needed a more visible and formal online presence to share with potential consulting clients so they could get to know me and what I could offer. Since then, I have started a second website (also built on WordPress but run by Edublogs) where I publish multiple blogs (Tech Tips, Tech Projects, Maker Club Updates) to share with different audiences. So over time, my reasons to blog have grown and changed a bit but here are the main ones that motivate me. This was one of the first, driving factors that pushed me to take the plunge and post something publicly. I wanted to have a public website that I could use to market my skills, background, and experience and part of how I wanted to do that was through blogging. I knew that if I had a digital space that I made public, I could link it to all of my social media accounts and send out updates as I blogged about issues and ideas that were important or intriguing to me. Then, as I published posts, I could hopefully gain some subscribers and increase my own SEO. Another reason I chose blogging is because it is a good medium for me personally. I’m a writer and I have found that sharing my thoughts, reflections, and resources through text is usually the best way for me to reach other people compared to other mediums (e.g., artwork or public speaking). Therefore, blogging and blog platforms became my tool of choice. If I did happen to be an artist, I probably would have chosen Instagram or if I were a speaker, maybe Soundcloud so I could podcast. Finding what works best for you and then which mediums best represent that type of content is very important. One reason I chose Tumblr to share about my work with Google Glass was because I found it to be more visual and I knew I’d primarily be sharing photos and videos, but I also wanted to be able to write and add links, which is much harder with a platform like Instagram. My absolute favorite reason to blog is because it provides a medium and a shared space where I can reflect on my professional work and the things I am learning. Through writing and reflecting, I am better able to synthesize ideas and have those “ah-ha” moments that lead to an exciting new project in my classroom, a model for professional development at my school, or a way to use a new tool I have just discovered. Blogging is also powerful because it allows my reflections to be created on a public, digital canvas where I can embed multimedia to connect people, places, ideas, and tools through integrating drawings, photos, videos, tweets, and other links. This is probably my second favorite reason to blog and I think one of the coolest things about the tools and tech we have access to today. Blogging allows me to share what I have learned at a conference or from trying a new ed tech tool and through that sharing I can build connections with other educators, innovators, entrepreneurs, and professionals. Blogging facilitates relationship-building, many times with people who I might never meet and that live across the globe. Through these connections, I am able to broaden my own PLN and open doors for new collaborations, classroom projects, and friendships. One of the great things about blogging as a professional is that you are automatically creating digital documentation of your work and learning. Capturing this over time can be instrumental in helping show current and future employers the projects that you have worked on, things you have learned attending conferences and PD workshops, and your own personal voice in the field. I have really enjoyed documenting my professional growth here on this blog and I find it valuable to go back and look through past posts a few times a year to reflect on my journey. Documenting my work has been especially valuable on my school blog because it allows me to share snapshots of students’ learning with families and other educators and see where to go next with a unit or idea while also examining what we have done before. The final reason that I blog is to model what blogging can look like and demonstrate my investment (time, energy, digital space, and even money) in the practice for colleagues and others who I might encourage to blog. I believe that “if you’re going to talk the talk, you’ve got to walk the walk” and so if I want to support blogging as an important professional practice, I have to be a blogger myself. I believe blogging is also a great practice for students because it can be instrumental in helping them to develop a positive digital identity (and practice good digital citizenship). 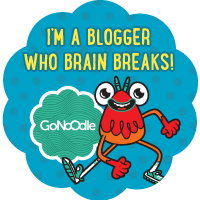 I blog in part so that I can talk to my students about blogging and understand the experience in hopes of better connecting with them as young bloggers. 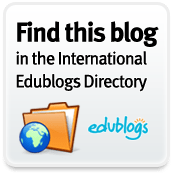 There is a seemingly endless array of articles, and yes, blog posts, talking about the value of blogging and why educators should blog (see the short list below for inspiration). Although each article takes a different perspective on the topic, there are definitely some themes that come up again and again and you’ll notice many of them overlap with my own. So what’s the value in blogging? Aside from all of the benefits and experiences listed above, blogging helps create a vital community. It’s a community that gives everyone involved a chance to grow together, with and from one another, and to become better educators – both teachers and learners. Blogging creates the foundation for global relationships and breaking down barriers to knowledge and understanding across geographic, political, philosophical and many other lines. Now imagine if you never knew anything about blogging … if you could never reflect in a shared space, express your voice, build meaningful global relationships, or market yourself as a professional. What if none of that (e.g., knowledge, internet, freedom) was accessible to you? Share your reactions in the comments and let me know, do you think blogging is valuable for educators?